Modern games deliver awesome graphics, but the visuals are only half of the gaming experience. Studies have shown that audio quality can shape your perception of the entire gaming experience. When a high-quality soundtrack reaches your ears, your brain will also perceive the game's graphics to be of higher quality. Audio quality can affect your gaming experience in other ways, too. Without good audio, you won’t hear enemies approaching or hiding behind cover. You might not hear your teammates as they try to coordinate with you or give you instructions, and they won't hear you clearly, either. And you'll lose that sense of immersion in the game world that turns a good gaming experience a great one. 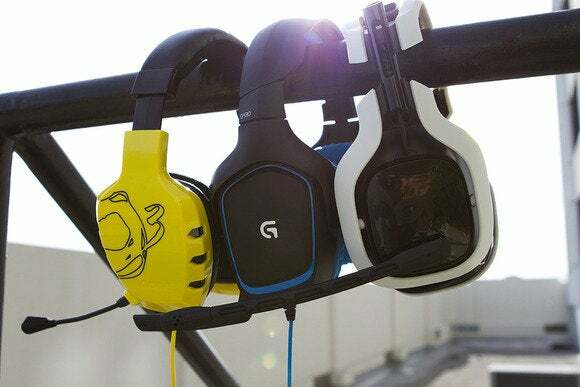 A high-quality headset is just as important as a good graphics card, keyboard, and monitor. Audiophiles want the best quality they can get, and gamers need the best tech available. Top-of-the-line headsets deliver both. Whichever camp you're in, the first choice you need to make is between a stereo headset and a surround-sound headset. Stereo—independent sound from the left and right channels—is the more common option, but it can't match the realism of surround sound. Headsets that use surround-sound technology simulate realistic room acoustics through digital signal processing. They trick your brain into thinking that sound is coming from specific locations in the environment. It’s a great sensation and can be really helpful in games—when it works. If the designer handles the encoding poorly, however, it can create myriad artifacts and distortions that make audio enthusiasts cringe. Inline controls make it easier to adjust a headset's volume and mute functions. Once you've made that decision, focus on comfort. A headset should fit your noggin the way your favorite sweatshirt fits your torso. A too-heavy headset will pull down on the top of your head and strain your neck, turning you into a broken bobble-head. The headband should be well padded, and the ear cups should cover your ears completely to keep sound in and background noise out. Natural materials such as cloth mesh and leather (especially lambskin) are the most comfortable to wear for long gaming runs. Vinyl and other types of faux leather tend to peel and crack with age, and they can irritate sensitive skin after several hours. Headsets can connect via USB or analog. The Logitech G430 lets you choose. You can connect a headset to your PC in one of two ways: with a USB connector or with jacks (typically, 1/8-inch jacks). USB keeps the audio signal in the digital domain until it reaches a digital-to-analog converter, which can be inline with the cable or inside the headset. These designs prevent electrical noise from the PC's motherboard and other components from contaminating the audio signal. If you've invested in a high-end sound card, or a motherboard designed to isolate its onboard audio components from electrical interference, a good analog headset will deliver excellent audio quality. Don't forget the element that turns a pair of headphones into a headset: the microphone. Communication is huge in multiplayer games, so a good mic is invaluable. A flexible stalk will enable you to position it comfortably near your mouth when you need it, and easily shunt it aside when you don't. 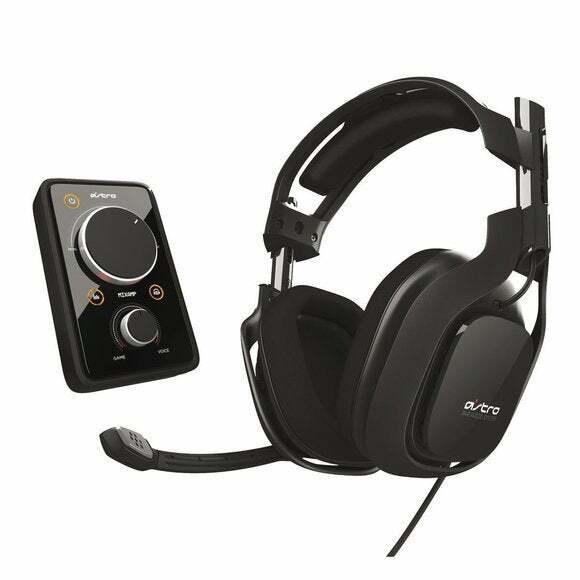 Some headsets, like the Astro A40s, have such additional features as equalizers, a detachable microphone, and inline controls. Extra features are the icing on a headset cake. Inline controls provide a convenient way to adjust the volume and mute the mic when you don't want to broadcast your conversation. A removable microphone allows you to comfortably use the headphones with a digital media player while on the go. And an equalizer or client software can let you establish sound profiles for whatever you’re listening to—games, movies, or music. Escape the never-ending ambient sounds of holiday music and squabbling families by throwing on your new headset and blasting away in-game baddies while enjoying sweet high-definition audio.